Kingdom Kids Books are an amazing tool for teaching children about God! Kids will learn that they were created for purpose, on purpose; that they are SMART, BEAUTIFUL, STRONG, BRAVE, UNIQUE, LOVED and CHOSEN! 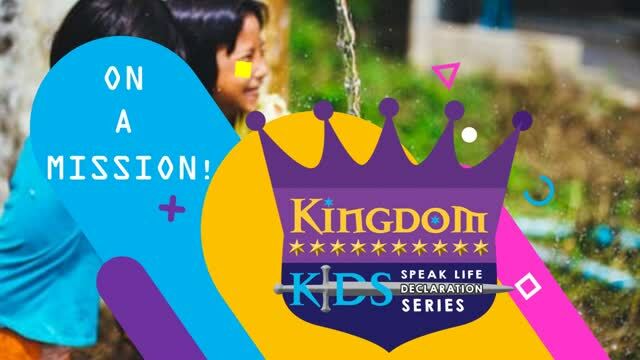 They are KINGDOM KIDS! We believe that the Word of God is alive and active and that God is His Word! We believe that if we declare a thing according to Job 22:28, it is therefore established and the light of that truth (the Word of God we speak) shall guide the way of our children. 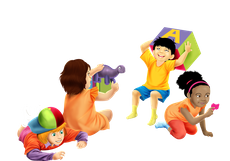 We believe we can teach young children that because they are made by God, on purpose, they are exactly who God has created them to be and they can be proud of that! The concept is simple, SPEAK Life; the Word of God to young children, DECLARE the promises of God over their lives and WATCH God do what He says He will do! To EQUIP, ENCOURAGE and EMPOWER young children by teaching them spiritual identity, self-worth and guiding them into their divine purpose. 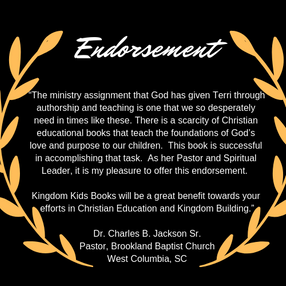 To share the message of God's love through Early Literacy, Early Childhood Development and Christian Education. I support your mission and would like to bless a child.